The Little Boy, Who Was Precious is a story about a child’s first long stay with his grandparents when his parents are away. The little boy, who is so brave against the beasts of his imagination, finds himself strangely lost without his mother and father. It takes a pair of loving grandparents to convince him that he is still the bravest and most precious little boy. 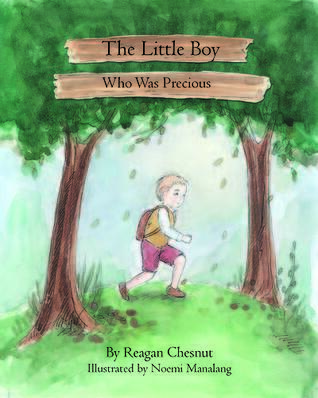 THE LITTLE BOY, WHO WAS PRECIOUS by Reagan Chesnut, Illustrated by Noemi Manalang is a wonderful children’s book. A touching tale of family, going away to visit with grandparents, and a little boy who learns, he is precious in more ways than one. What a precious tale of a little boy, his family, and the love they had for him and the imagination of a little boy. Vivid illustrations. Well written and easy to follow. A great read for but parents and grandparents alike. A touching tale! I would recommend an age range of 6+. Received for an honest review from the author.